At first, it was just total exhaustion caused, she thought, by limited work-life balance. But as Samantha Thomason continued to counsel people navigating through mental health crises, she began to experience more troubling signs of her own. Her exhaustion turned into depression. She was internalizing her patients’ struggles and not getting help for herself. “It was pretty dark, dark moment,” Thomason said. Without boundaries and self-care, the healing profession of therapy can cause its counselors harm. The most prevalent cause, according to a 2018 review in the Journal of Clinical Psychology, is emotional exhaustion — feeling physically and psychologically drained while at work. 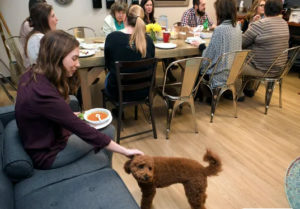 Conscious of high burnout rates — juxtaposed against the ever-increasing mental health needs across the state — local organizations and professional groups are taking steps to support their therapists. Therapists often feel called to the profession. They want to help other people through the most challenging parts of their lives. But it takes skill to develop boundaries. Therapists don’t have an endless reservoir of empathy — and, as caregivers, they often give more than they get. They emotionally invest beyond their limits, thinking about their clients at work and at home. They want to talk about it, to process it, but the profession’s rules of confidentiality make that difficult. And that can be isolating. Still, therapists and counselors often help until they are depleted. “There’s such a connection with hurting people,” said Anita Pringle, the clinical director and a counselor at The Refuge Center in Franklin. “And you see it all day long, listening to their stories — some of them sad, some of them very horrific. Burnout is not just an issue for therapists. It is estimated that more than 1 million Tennesseans ages 18 and older have a mental health or substance use disorder. Many are not receiving care. Tennessee’s mental illness care system as a whole is overburdened, and the state continues to contend with a shortage of mental health care providers, particularly in populous counties such as Davidson and Shelby. 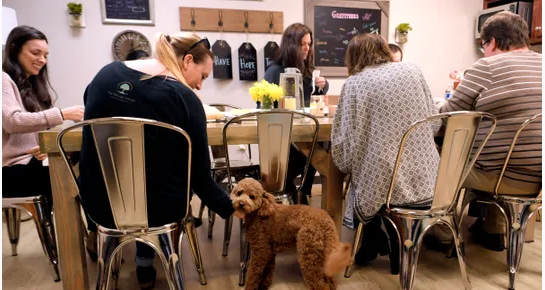 “Mental health had somewhat of a stigma over the years,” Harris said, “and the good news is that the stigma has begun to decrease and there is an increase in people’s willingness to talk about mental health and be willing to receive treatment. “The flip side is mental health workers are seeing a surge of work, and the byproduct is an increase in therapist burnout. Which is why it’s imperative that therapists meet their own needs. Thomason, who has a masters in clinical mental health counseling, said when she was in school, professors rarely talked about self-care. And if they did, “it was a little fluffy idea like get pedicures and do your own therapy once in a while. Self-care is becoming more of a professional focus, however, and some universities are connecting with that. In Teri Murphy’s career counseling class at Trevecca University, she asks her students to create a detailed self-care plan. They must record what actions they will take to sustain their own psychological, spiritual, mental, physical and relational well being. Then she asks them how they will measure and track those actions and what potential struggles they may face. One challenge, she knows, will be getting these new therapists to acknowledge when they need help. 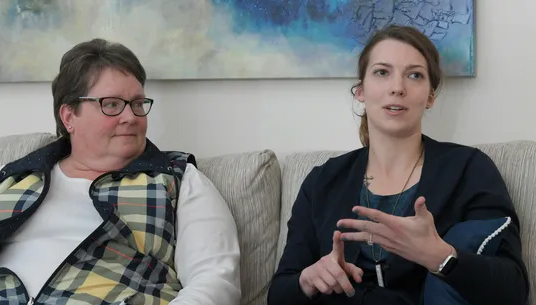 “There’s this thing in mental health where we feel like we should know better, that we should be exempt,” said Murphy, an assistant professor who has her doctorate in clinical counseling. “But we’re human beings just like everybody else, and we need the same type of care. One of the keys, Murphy said, is a connection. Therapists can often find themselves feeling lonely or isolated. Even if they enjoy reading or exercising in their time away from work, they are still doing that alone. “It’s not meeting that connection need, and we find ourselves at a deficit,” she said. 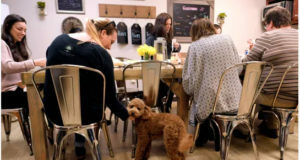 Places like The Refuge Center are trying to take a more active role in providing those connection opportunities. 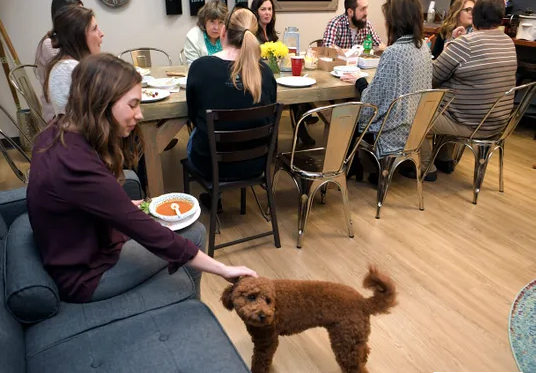 Their fluffy brown therapy dog, Stellan, visits with staff and therapists during their monthly potluck lunch. They offer massages and yoga class. They organize golf and bowling outings. And they have a staff member specifically in charge of compassionate care for the staff.